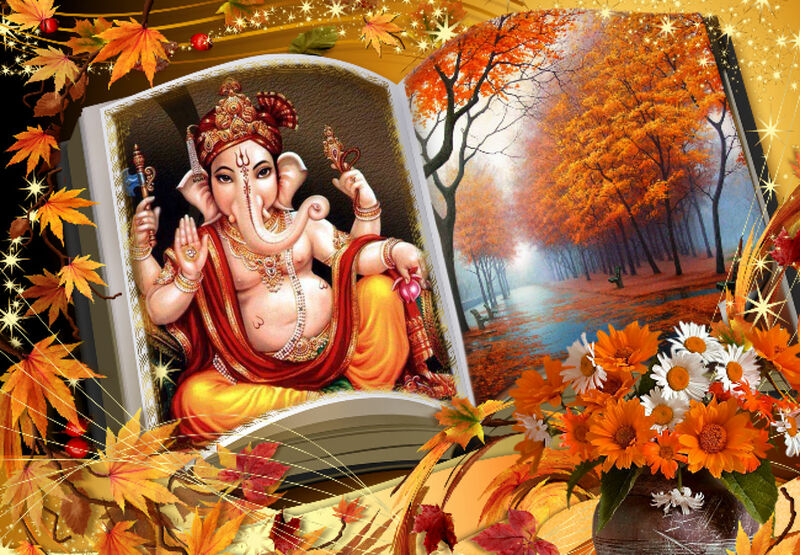 Ashtavinayak Temple !! Sri Mayureshwar/Moreshwar Temple !! 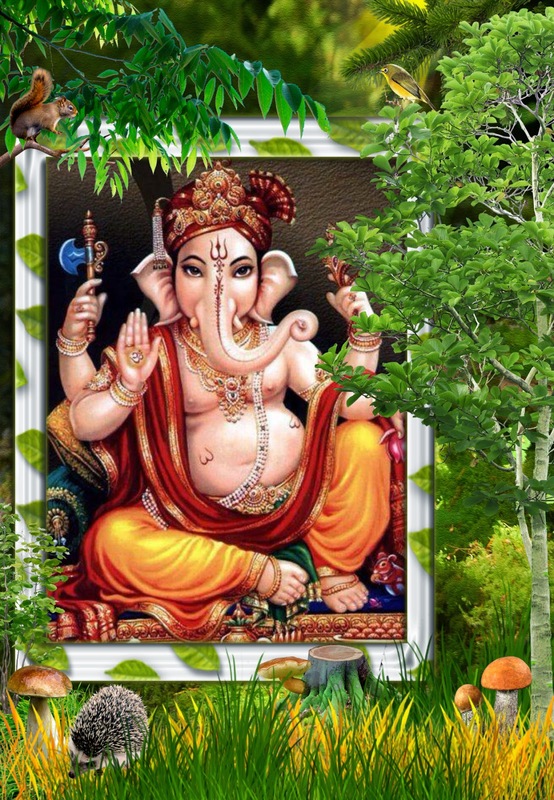 Mayureshwar temple/Mayurapuri is one of the eight prominent temples of Lord Ganesha located on the river banks of Karha in the village Morgaon/Bhuswananda in Baramati, Pune, Maharashtra. Previously, Moragon was the dwelling place of huge numbers of peacock. 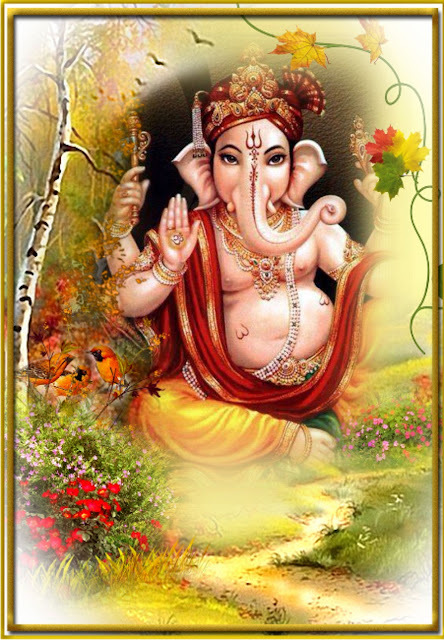 Ganesha Puranam describes the incarnation of Lord Ganesha as Mayureshwara. The demon Sindhu, son of King Chakrapani and his wife Ugra, harassed the life of deities and Rishis. 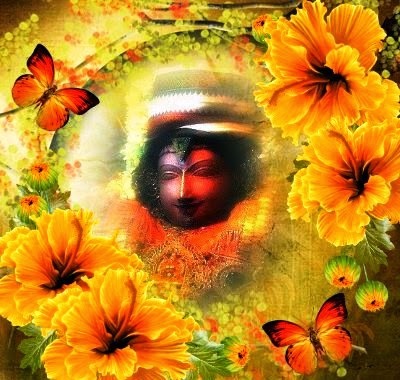 All the deities appealed to Lord Shiva to protect from the atrocities of the demon. 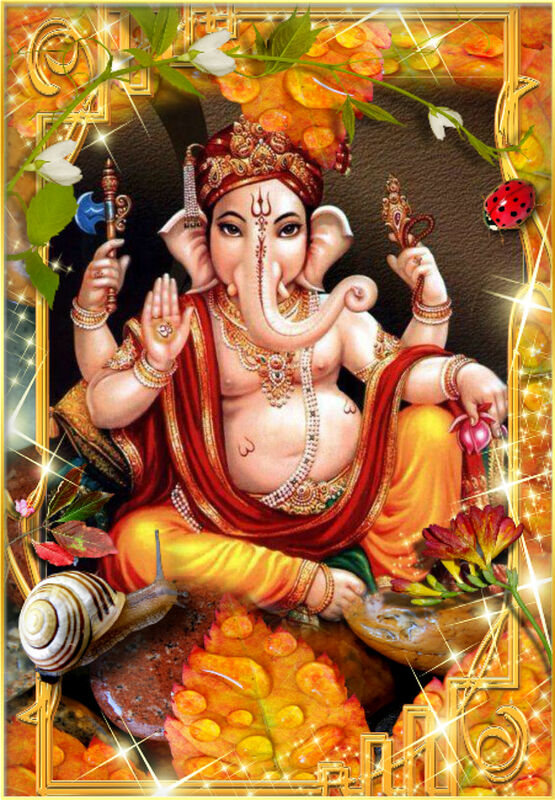 Lord Ganesha took the form of Mayureshwara riding on a peacock at the divine instruction of Lord Shiva and killed the demon Sindhu. Lord Brahma was sanctified the idol of Lord Mayureshwara with a pronouncement that this sacred place would remain indestructible in all four Yugas. 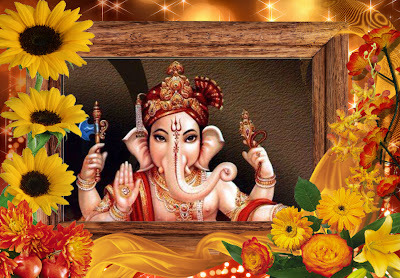 It is believed that the worship of Ashta Vinayak should begin with the veneration of Lord Mayureshwara. 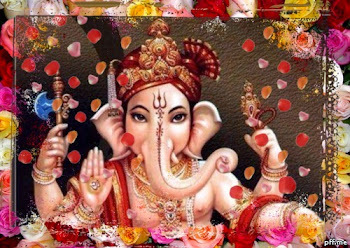 In this temple Lord Ganesha, a self manifested idol mounted with vermillion can be seen in the sanctum along with his consorts. In the Sabha Mandapam housed 23 idols of Lord Ganesha, includes the eight incarnation of Lord as Vakrathunda, Mahodhara, Ekadantha, Vikata, Drumavarna, Vignaraja and Lambodhara. This temple remains open from 7.00 AM to 12.00 PM in the morning and 4.00PM to 8.00PM in the evenings. Eight Holy Abodes of Lord Ganesha !! 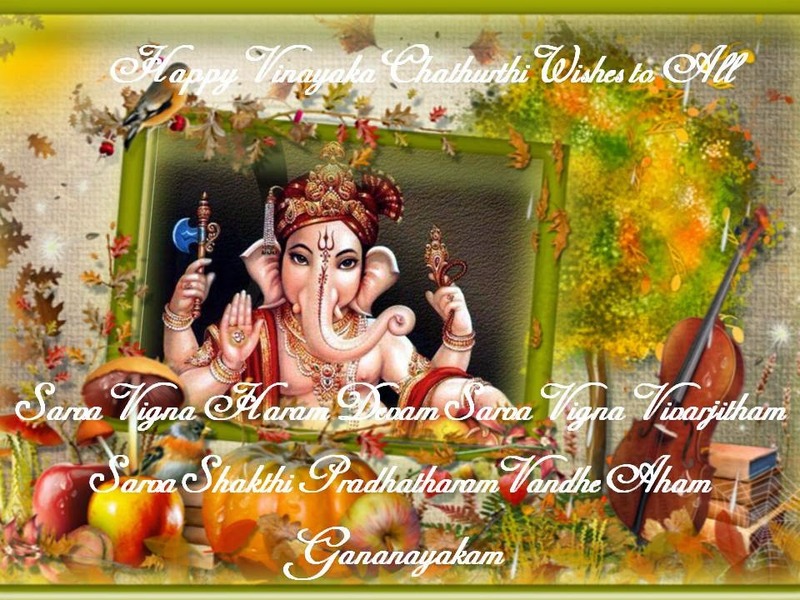 Ashta Vinayak Temples !! 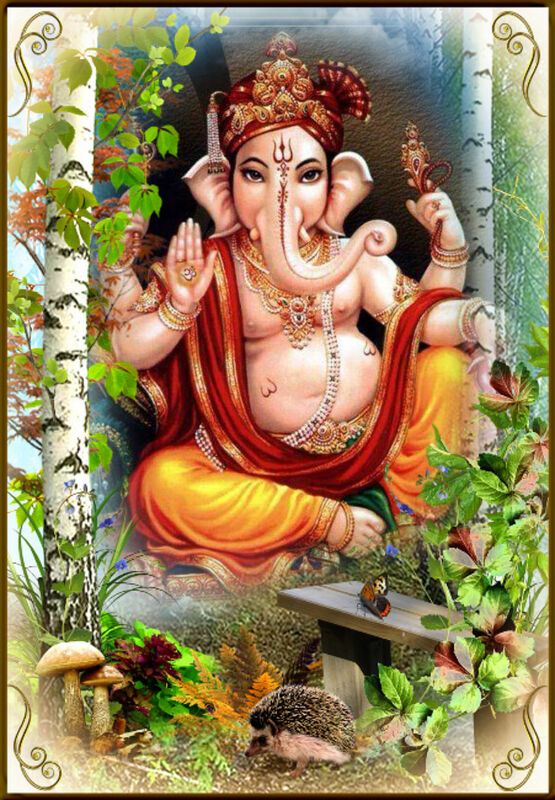 There are eight prominent temples of Lord Ganesh famously known as Ashtavinayak shrines situated in and around of Pune, Maharashtra. 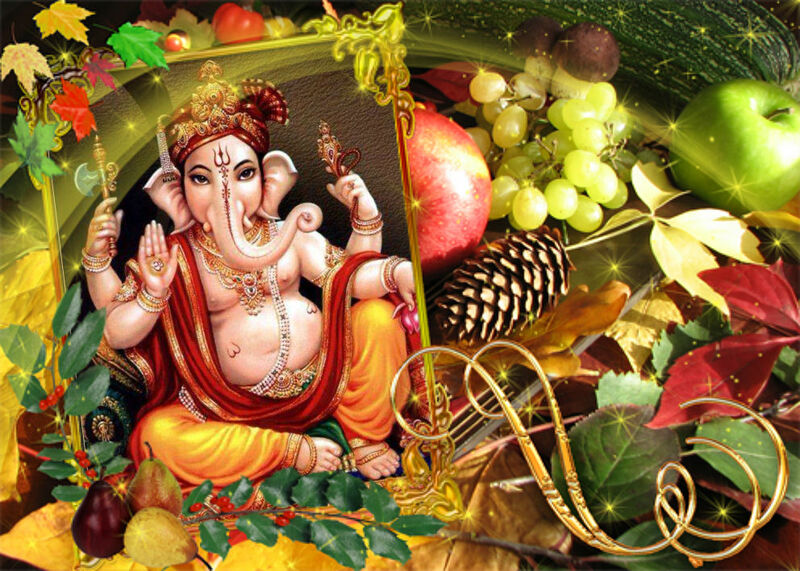 Any worship without the initial reverence to Lord Ganesha is treated as unfruitful and inauspicious. The sincere worship of elephant faced Lord Ganesha provides the worshipper abundance of devoutness like Wisdom & Intelligence, Ashtama Siddhis, removes obstacles, Happiness, Peace & Prosperity etc..
Personification of Lord Ganesha !! 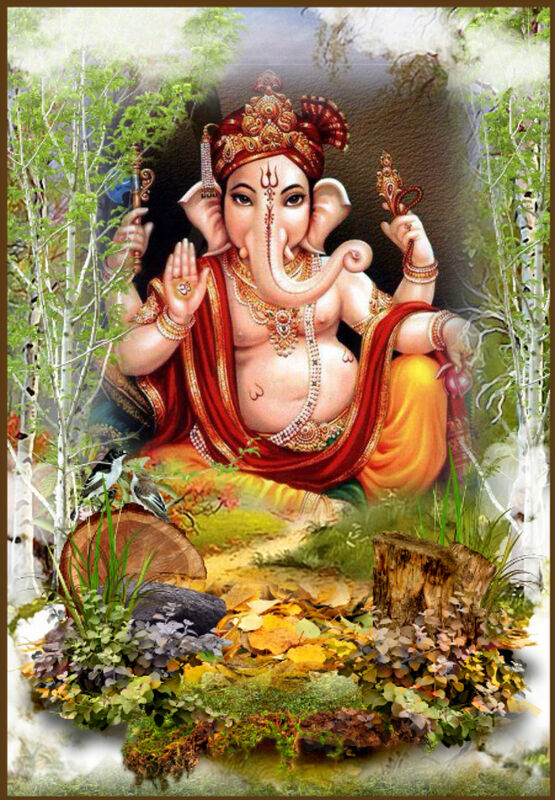 Tharuna Gapanathi –Youthful form of Lord Ganesha, he has 8 arms with fierce weapons like Noose, Goad, Modhak, Lotus, Wood Apple, broken piece of his Tusk, Sugar cane etc. Veera Ganapathi – Valorous form of Lord with 16 arms holding malicious weapons like Goad, Disc, Bow & Arrow, Sword, Shield, Spear, Mace, Axe, Trident etc..
Shakthi Ganapathi – Provider of mental as well as physical strength /courage. 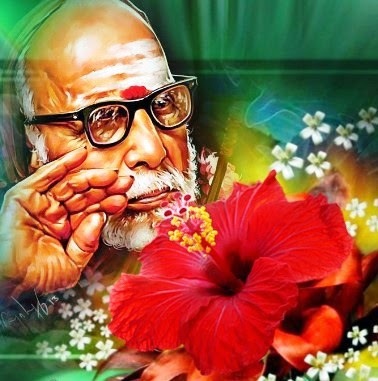 Lord has his Shakthi on his right thigh, the three arms holding noose, goad, and garland and fourth hand in Abhaya Hastha posture. 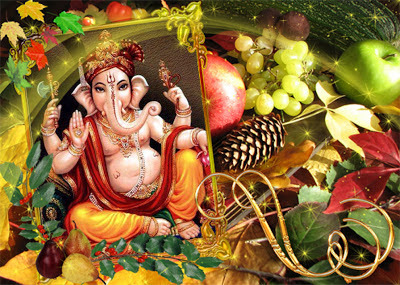 Kshipra Ganapathi – Quickly pleased and giver of boons – Lord carrying trunk, noose, goad, Kalpavruksha and holding pot full of gems on his trunk. 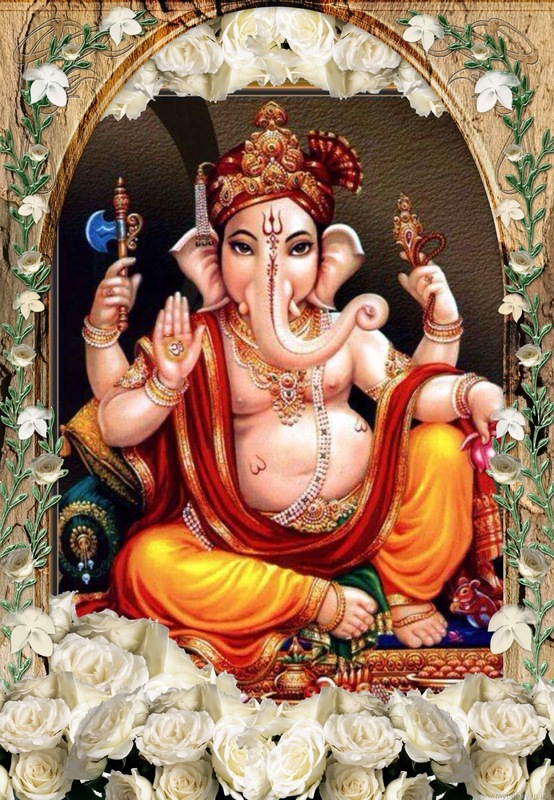 Maha Ganapathi – Lord of initial worship. 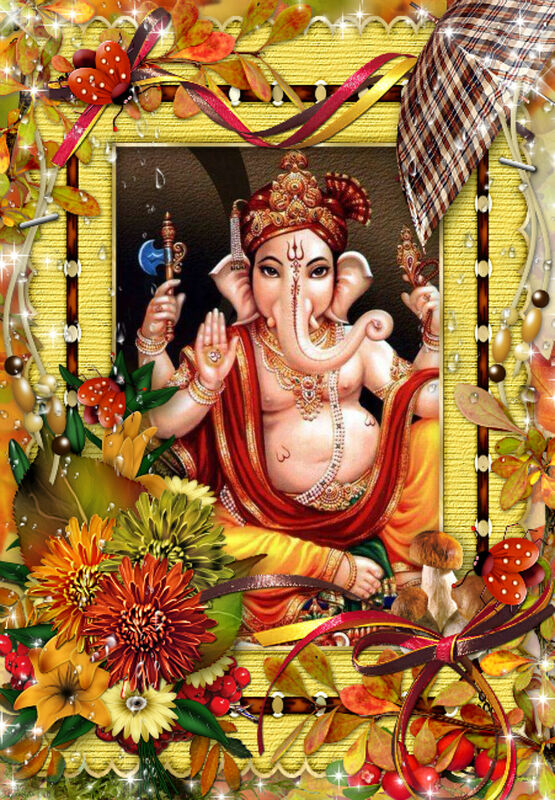 Any worship or rituals without the initial worship of Lord Maha Ganapathi remains unfruitful. 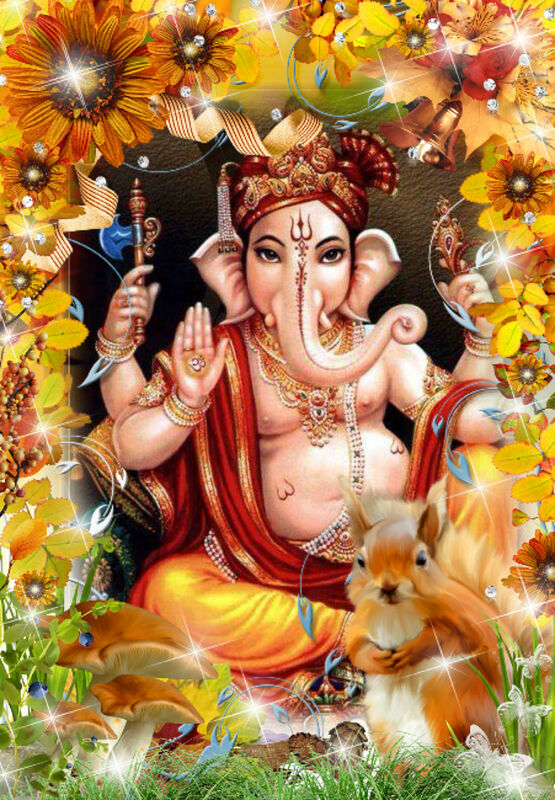 Lord beautifully carrying Shakthi on his right thigh, his hands holding tusk, pomegranate, blue lilly, Sugar cane, disc, noose, string of unprocessed crop, mace and pot of gems on his trunk. 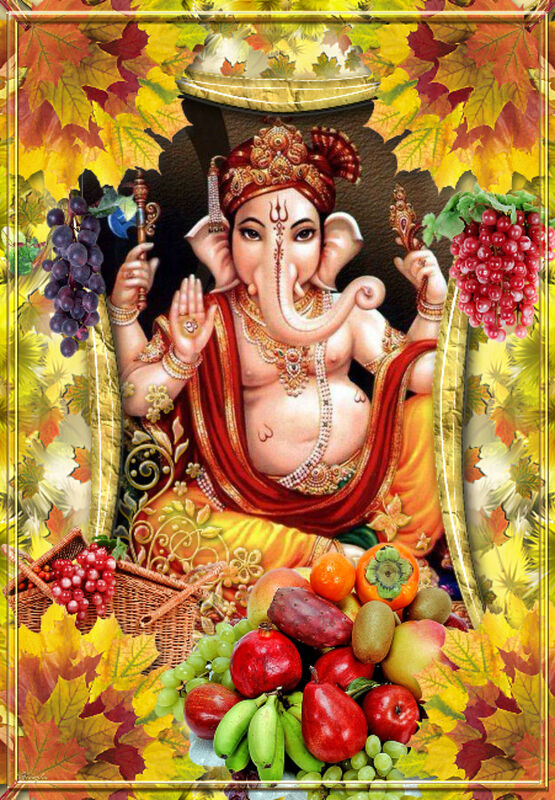 Ekakshara Ganapathi – Gam Ganapathi carrying crescent moon as his crown, seated on the mouse, holding noose, pomegranate, tusk and goad, another hand in Abhaya Hastha posture. 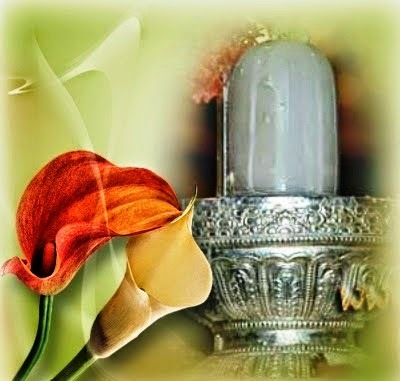 12 Jyotir Linga Kshetram !! Varanasi/Kashi Sri Vishwanatha Mandir !! 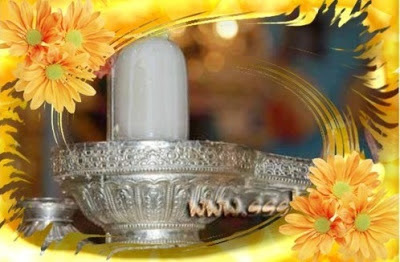 Varanasi/Kashi is one of the 12 Jyotir Linga Kshetram located on western bank of river Ganges in Uttar Pradesh, India. This is one of the prominent temples of Lord Shiva in existence for more than 3500 years, had undergone ruins several times and the current structure was re-built in the year 1780 by Maharani Ahalya Bhai Holkar of Indore. Previously it was under the patronage of King of Kashi/Kashi Naresh later it was undertaken by the Govt. of Uttar Pradesh. According to the scared scripture of Skandha Puranam/Kashi Skandham, this temple was built in 11th century by King Harishchandra. This self-manifested Linga was installed in the Gnana Vapi during the process of protecting the same from the Mughal invaders. Worship of Lord Vishwanatha with Goddess Sri Vishalakshi provides abundance of devoutness includes salvation. This is one of the holiest lands on Earth which has the significance of its perpetual existence during the time of deluge/Mahapralaya. This temple remains open from the morning 3.00AM to 10.30 PM in the night. The rituals begin with Mangala Arati/Vishwaroopa Dharshan of Lord Vishwanatha in the early morning hours. The mid day Arati/Bhog Arati is performed from 11.30 AM to 12.00 PM. 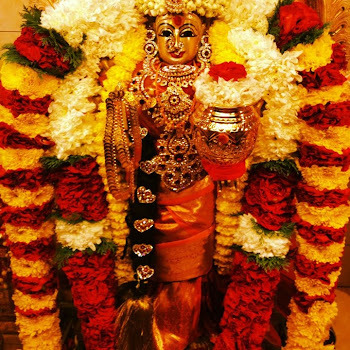 In the evening 7.00 PM to 8.30 PM Saptha Rishi Arati is performed followed by Srungara Arati at 9.00 and concludes with Shayana Arati at 10.30 PM.